Check back here frequently for the latest updates on marriage enrichment activities available in the diocese! 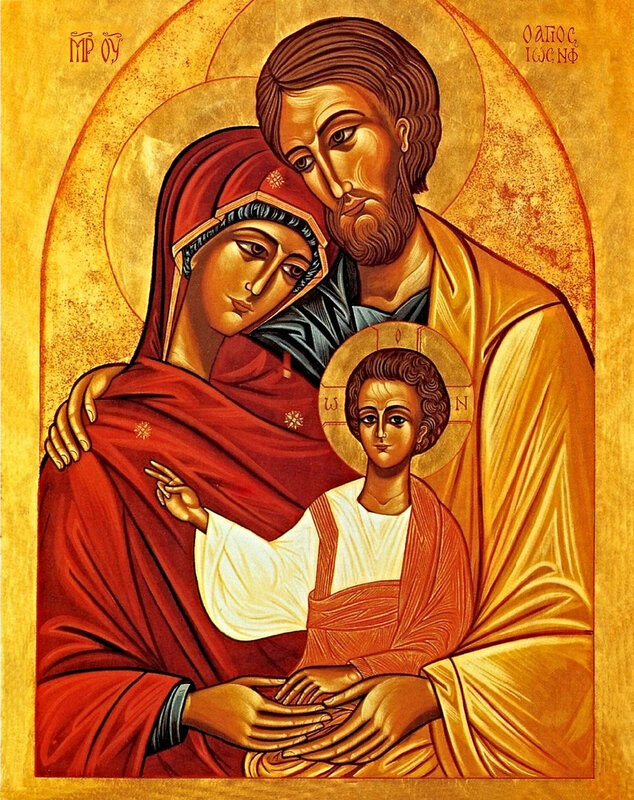 The Domestic Church movement is a lay led ministry for sacramentally married couples that enhances marriage and family life by opening the treasures of the Church’s teachings on love and life. The first step is to attend the evangelization retreat that begins on a Thursday evening at 7 PM and ends at noon the following Sunday. During the retreat, couples will begin a spiritual journey together. The goal of the retreat is to strengthen the couple’s spousal union and lead them to experience complete harmony and joy in their marriage through simple formation and meaningful dialogue. As Pope Francis states living together is an art and can be a beautiful journey. Marriage can be challenging with family, work, finances, kids, busy schedules and all that life offers. Losing focus on what is important in life is easy. A Worldwide Marriage Encounter weekend experience focuses on what’s important in your marriage and provides the tools to live a beautiful journey together. This is a seven day, self-directed retreat. Each day, begin with a simple prayer that is followed by reading the quote from Pope Francis and the text that breaks open the theme. Move into the reflection, stopping to dialogue about what you are thinking. Talk about the actions that are suggested. Finally close in prayer. This is a seven day, self-directed retreat. Each day, begin with a simple prayer that is followed by reading the text that breaks open the theme. Move into the reflection, stopping to dialogue about what you are thinking. Talk about the actions that are suggested. Finally close in prayer. Purchase Price: $75 Parish Packet includes DVD with 6 sessions, program coordinator’s guide, printable handouts and a copy of Blessed is Marriage book. Recommendations: For group settings, recommend Blessed is Marriage book for individual couples. Order for $14.95 at website. Description: In 12 sessions, Beloved explores the true meaning of marriage. Here you’ll discover the deepest spiritual, emotional, and practical realities of what your marriage can and should be. Through an exploration of Scripture, Tradition, and Church teaching, God’s plan for your marriage will come alive. You’ll see firsthand the wonder, mystery, and joy behind that first “I do”—whether you said it last year or many years ago. Recommendations: Child care recommended if the program is used in group setting. Additional Comments: Discs capable of being used for Marriage Preparation if necessary. Parish should seek approval from Office for Marriage and Family Life before using for Marriage Preparation. Couple’s booklet needed for each couple. Purchase Price: Free to parishes for startup. Parishes offset or cover the cost of meals or refreshments by seeking suggested donations from participating couples. Description: The Choice Wine is a pathway to authentic marital happiness. Couples will learn how to virtually divorce-proof their marriages, experience the superabundant love and mercy of God, and realize a foretaste of Paradise in their marriages and families. Recommendations: Because this program is very flexible, think about best application before ordering materials. Child care is recommended if the program is used in group setting. Additional Comments: Very similar to the popular men’s ministry program That Man is You. You can request materials at website. A book that accompanies the program is available for parishes to purchase in bulk at substantial discounts. Parishes offset or cover the cost of meals or refreshments by seeking suggested donations from participating couples. Description: Kirk Cameron stars as Caleb Holt, a heroic fire captain who values dedication and service to others above all else. But the most important partnership in his life, his marriage, is about to go up in smoke. This gripping story follows one man’s desire to transform his life and marriage through the healing power of faith and fully embrace the fireman’s code: Never Leave Your Partner Behind. Admin/Organization: Small group, with video clips to accentuate points from the film. Catholic study guides available through the Office for Marriage and Family Life. Description: People express and receive love in different ways. If you express love in a way your spouse doesn’t understand, they won’t realize you’ve expressed your love at all. The problem – you’re speaking two different languages. 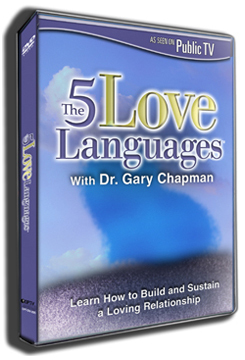 This presentation helps you learn to speak and understand the unique languages of love and effectively communicate with your spouse. Description: 7 Steps to Becoming Financially Free is the popular program that provides the direction, strategies, and practical guidance every Catholic needs to manage their God-given resources well. This one-of-a-kind program provides a step-by-step approach to guide you from concept to reality. Here is how to take the gifts God has given you – your skills, your education, your training, your income – and use them as He intended. Here is how to not just get out of debt and begin saving, but to wisely and deliberately set priorities and achieve financial goals that reflect what you believe as a Catholic. Description: Combining fun dates and marriage education skills, this video curriculum gives couples time-out to build their marriage and enrich their relationship. Description: Over time couples can fall into a rut. We take our spouse for granted and we forget how much we love each other. The 5 week Marriage in Christ Seminary will give practical suggestions to renew our love and put it into action. The seminar offers a foundation to build a strong marriage where you can learn practical skills to build a marriage that stands the test of time. Admin/Organization: Manual provided including step by step prayer, conversation and suggestions. Description: We want marriages that are happy and harmonious. That is why so many of our decisions are affected by how our spouse will respond. This presentation focuses on how to understand the differences between men and women – and delighting in those differences. Environment: Parish meeting room to accommodate group. Can also be done at a local restaurant. Presenters: Diocesan training presenters. Please contact familylife@diolc.org for additional information and a list of the presenters. Cost: Parish packet costs $75. Description: This ready to use program comes with a coordinator’s guide, videos, and handouts (in PDF format ready to print). The six 20 minute videos inspire spouses to become aware of the gift that they are to each other as husband and wife. Time Frame: 6 date night, 20 minute presentations are available. Admin/Organization: Leader guide with prayers, readings, and story preceding date for couples. Recommendations: Consider providing childcare for couples while they are on their date. Description: Domestic Church provides long term support and formation for sacramentally married couples who want to grow in holiness together as a couple. What began in Poland over forty years ago with the guidance and support of St. John Paul II is now available to English speaking couples here in the U.S. Although we know that true holiness is supposedly possible within the midst of the daily demands of marriage and parenthood, it can be very difficult to know how to access it and take advantage of the fact that marriage is a Sacrament. Domestic Church gives couples and families real, concrete help for tapping into what God has in store for couples in the blessed vocation of marriage. For a sneak peak, check out www.domesticchurchfamilies.com. Time Frame: The normal way a couple starts is by attending an Evangelization Retreat. That’s the first step. It’s a four day retreat (from Thursday to Sunday afternoon), and presently, the retreats are held at St. Anthony’s Spirituality Retreat Center in Marathon. After that couples meet in their circle once a month. The rest of the work is done in the home between the spouses and the family. The couple progresses in their conjugal spirituality by practicing the seven commitments they make. The meetings give the couples accountability and support for this. Admin/Organization: This is a lay led movement which means the couples take on the administration and organization, not the parish. Circles are to include a priest/deacon. Environment: Retreat Center and within the home. Additional Comments: This is a new movement for the Diocese. For more information, please contact the Office for Marriage and Family Life or email aheinzen@diolc.org. Description: A National Marriage Encounter (NME) weekend is a process that married couples experience in the course of two or three days. This weekend gives spouses an opportunity to grow in their marriage through open and honest communication, face-to-face sharing, and heart to heart encounter in a comfortable, relaxed setting. NME invites and encourages married couples of all ages and faith expressions to share in this experience and to become an integral part of this journey. Through the Marriage Encounter Weekend process couples are given time to reflect on their attitudes toward each other and their families … their joys and their frustrations … their disappointments and hurts … their hopes and their dreams. The techniques shared on the ME weekend are non-threatening. The weekend experience is unique for each couple, and the communication experienced between each individual couple is personal and private. Time Frame: The weekend begins on a Saturday morning and ends on a Sunday evening. Admin/Organization: This is a lay led movement which means that the couples take on the administration and organization. Environment: Outside of the Parish. Description: The mission of Worldwide Marriage Encounter is to proclaim the value of Marriage and Holy Orders in the Church and in the world. To that end, couples attend a 3 day weekend retreat where they listen to a series of presentations that help them examine their behaviors and attitudes, their relationship with each other and God. Communication tools are taught on the weekend helping couples connect in healthy, constructive ways on areas that can deepen their intimacy and connectedness. Time Frame: The retreat begins Friday evening and concludes late Sunday afternoon. After the weekend encounter, the couples are encouraged to attend monthly group meetings. Admin/Organization: This is a lay led movement which means the couples take on the administration and organization. Description: The REFOCCUS© Marriage Enrichment Inventory is a growth and enrichment tool, which can be taken by a married couple at any stage of their marital relationship. Couples independently indicate their agreement or disagreement with statements presented in six different sections of the REFOCCUS© Inventory, which can be taken over the course of days or weeks to allow the couple time for in-depth discussion and consideration. The inventory is not intended for use by individuals in seriously troubled marriages. Admin/Organization: Unlike the FOCCUS pre-marriage inventory, can be taken with or without a facilitator.